Archives for July 2018 | Evelyn Mc Marketing! HOST A DONEGAL LOVE STORY IN YOUR VENUE…..
What is Donegal Love Story all about? Donegal Love Story is a unique idea based on Evelyn’s own experience. 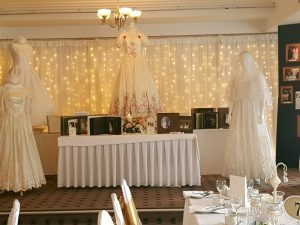 Having got married in The Central Hotel Donegal over 31 years ago I felt it would be a unique idea to host an event where our wedding reception was held – relive the memories of another time . 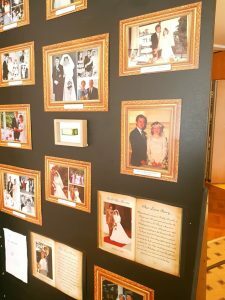 Display mementos and nostalgic items from wedding days of the the past not just for me but other brides and grooms who held their wedding reception in the hotel. 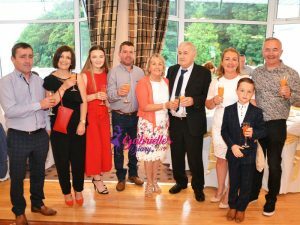 No event of its type had been held in the North West before and so the first Donegal Love Story event was held in The Central Hotel in June 2018 , 20 brides and grooms with their families and friends returned for a night of nostalgia and celebrating the memories of the past. Drinks reception on arrival and a buffet style dinner were served and dancing continued late into the night with the “bridal parties”. 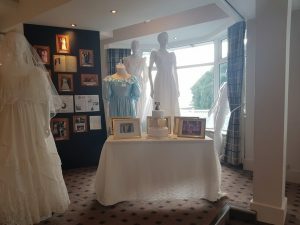 An exhibition of wedding dresses, wedding albums and mementos from each couples special day were displayed and the atmosphere was truly filled with romance and a night out for everyone to remember. One of the grooms actually proposed again to his beautiful wife of many years. Each couple got the opportunity to say a few words and talk about their special wedding day memories and received a personalised certificate to commemorate the event.. 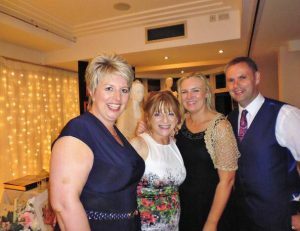 There were a few couples on the night who were over 50 years married and their families expressed gratitude that they could relive the happy memories with their parents, some of these stories and memories they had never been aware of in the past. 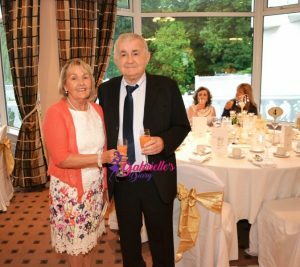 Why host a Donegal Love Story event in your hotel? Opportunity to thank and celebrate with your previous brides and grooms the nostalgia and memories of their special day. Add to the story of your hotel, share through media and create content for your social media accounts. Through testimonials, video and reviews of the event your hotel will attract attention from romantics everywhere! Highlight what you already offer – create awareness of your wedding offerings throughout the years to the present day. Promote your special wedding day package offerings. Introduce future celebratory events for all your wedding couples, especially the brides and grooms of yesteryear. Each Donegal Love Story can be unique to your venue- celebrate in your own unique style! What can Evelyn Mc Marketing do to help? As the creator of Donegal Love Story , a marketing consultant and a romantic at heart, Evelyn will share her unique idea and work with your team to highlight and host a unique event to your specific venue. Offering marketing and event management support to you and your team, both on and off line , writing the story, liaising with your bridal couples and working with you throughout the event in your venue. That includes helping you to collate and display the nostalgic wedding mementos on the night , plus following through on PR and social media exposure after the event. Not just about weddings, Donegal Love Story will be developed through branding and web site / social media /blog etc in the future to promote love of person, place, experiences and Donegal as a destination. Celebrating everyone’s unique love story with the county of Donegal and its people. From the wedding perspective, each individual venue produces their own take on the Donegal Love Story theme with the backing and support of Evelyn Mc Marketing and the concept that has been created. Inviting your prior brides, grooms and bridal parties to participate in an anniversary love story celebration, unique to your venue . Thanking those couples for choosing your hotel for their original celebrations and creating a new modern day story. Thanks to Gabrielle’s Diary for the use of some of her photos and to all the brides and grooms at our very first Donegal Love Story event for allowing me to share their story. Also huge thanks to Elaine McInaw who celebrated the very first Donegal Love Story in her venue, The Central Hotel Donegal town.